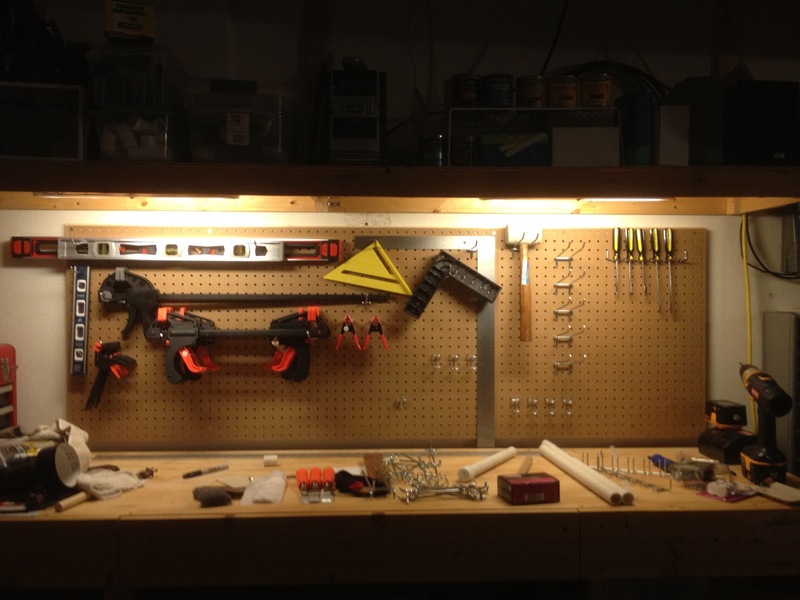 The pegboard above the main workbench is done. I still have a 2’x2′ piece left but that will be going above the secondary workbench in the middle of a bunch of shallow shelves. Now the big question is what do I hang up on it?